The International Monetary Fund (IMF) estimates Kuwait’s economy to grow by 2.33% in 2018 and 4.06% in 2019 due to increased government spending and an expected rise in oil production. The government is delivering on its commitment to growing the national economy, and executing infrastructure projects in-line with the ‘New Kuwait’. 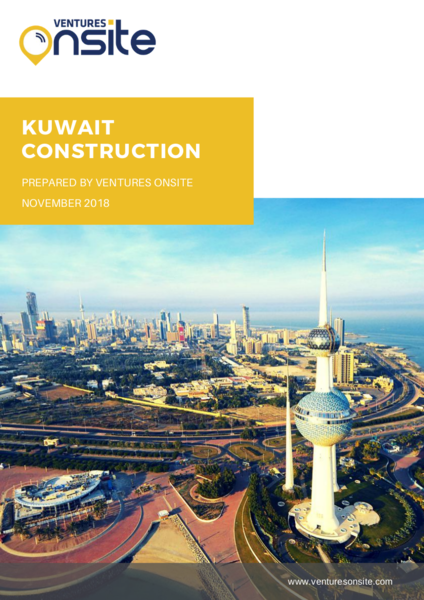 New Kuwait development plan proves promising as it is focusing towards increased participation from the private sector in the construction market in order to build a more diversified economy. As the country rolls out new energy and infrastructure projects, the government is increasingly looking to employ the PPP model as a way of encouraging greater private sector participation while keeping state costs down. The government's New Kuwait 2035 is expected to translate into consistent lucrative new opportunities for the construction sector.